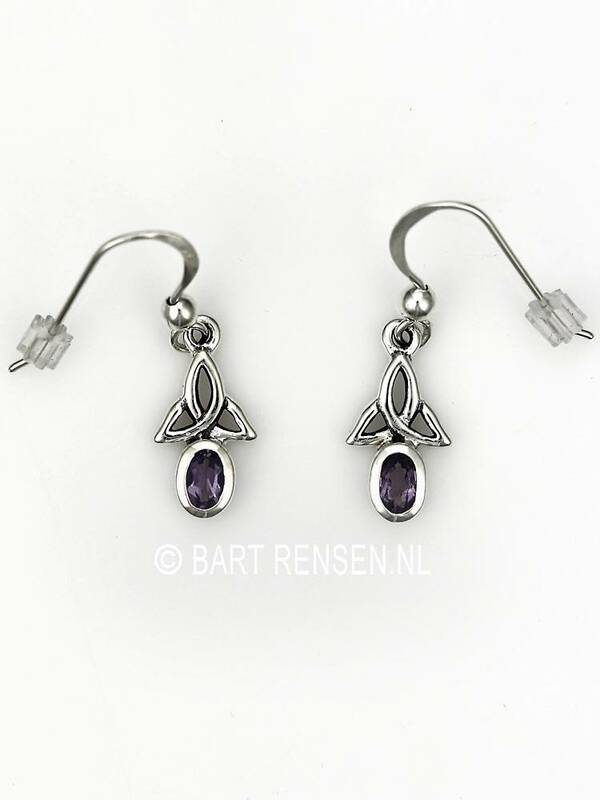 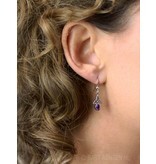 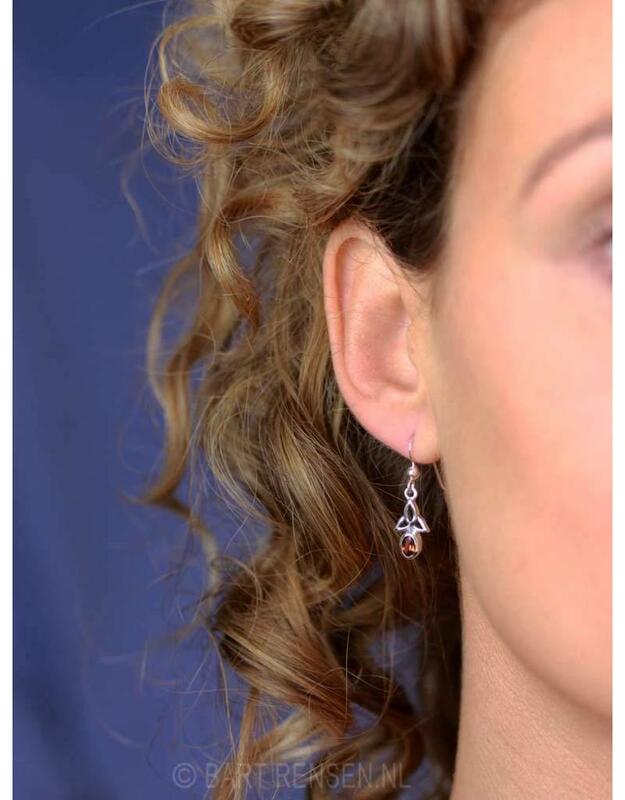 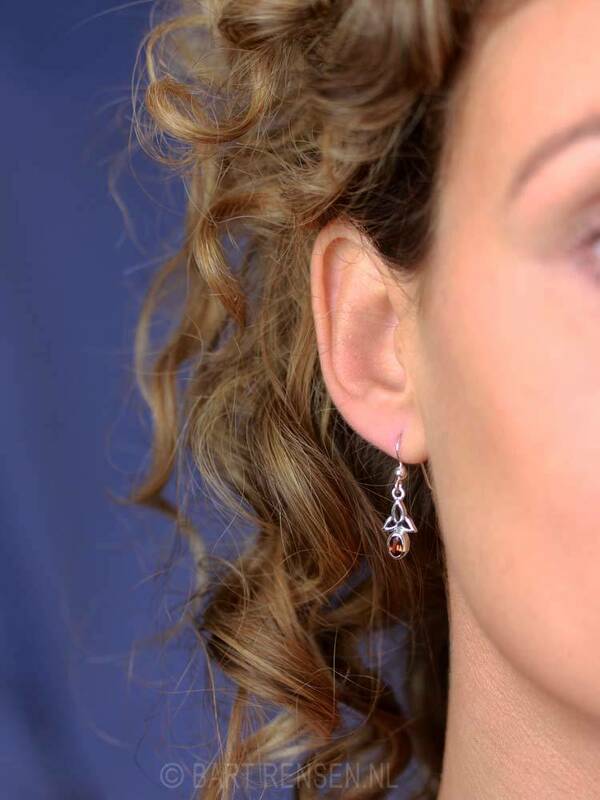 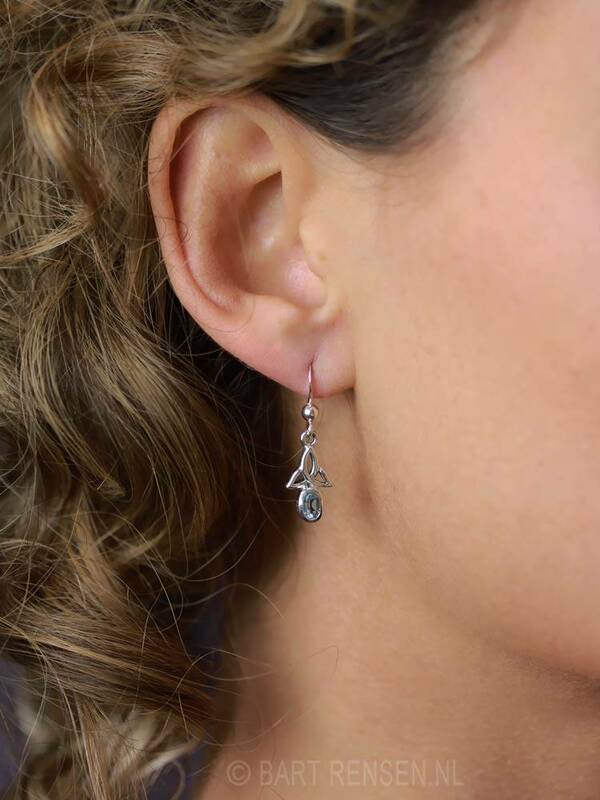 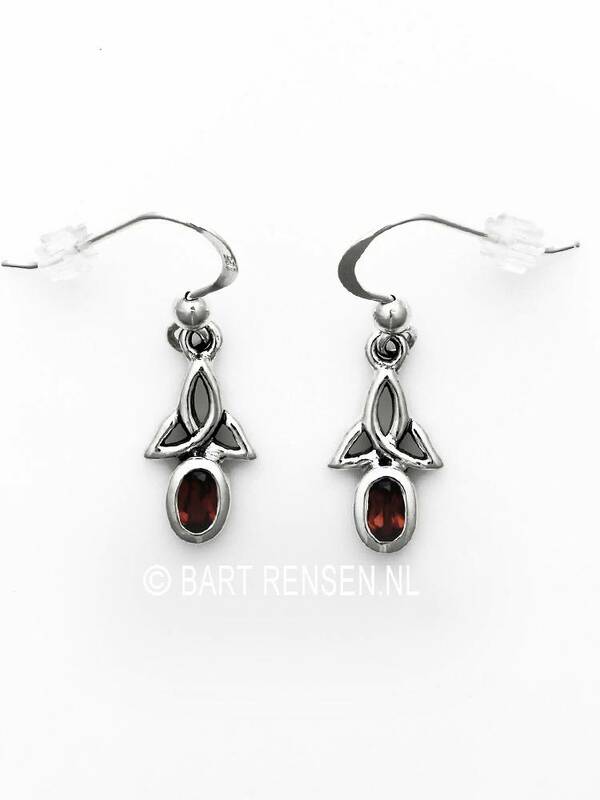 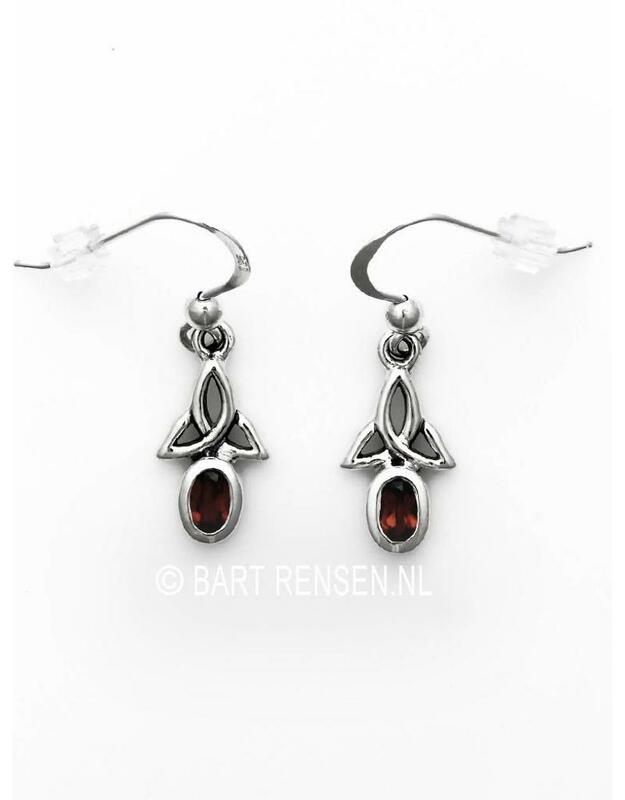 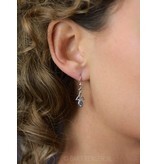 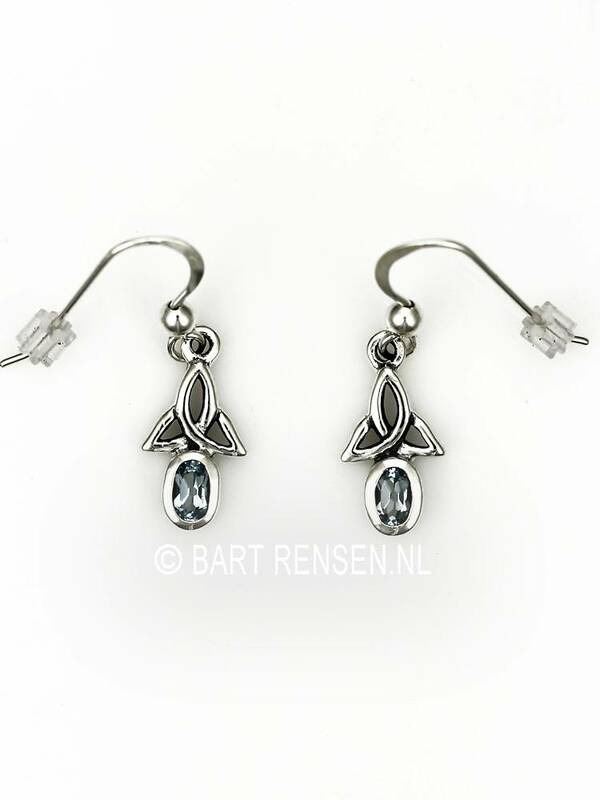 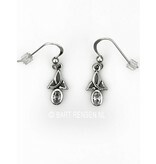 The size of the Triquetra earrings with stone is 24 x 28 mm (including pendant eye 33 x 28 mm). 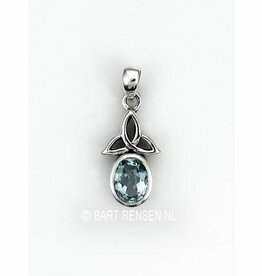 Make a choice between the different gems above. 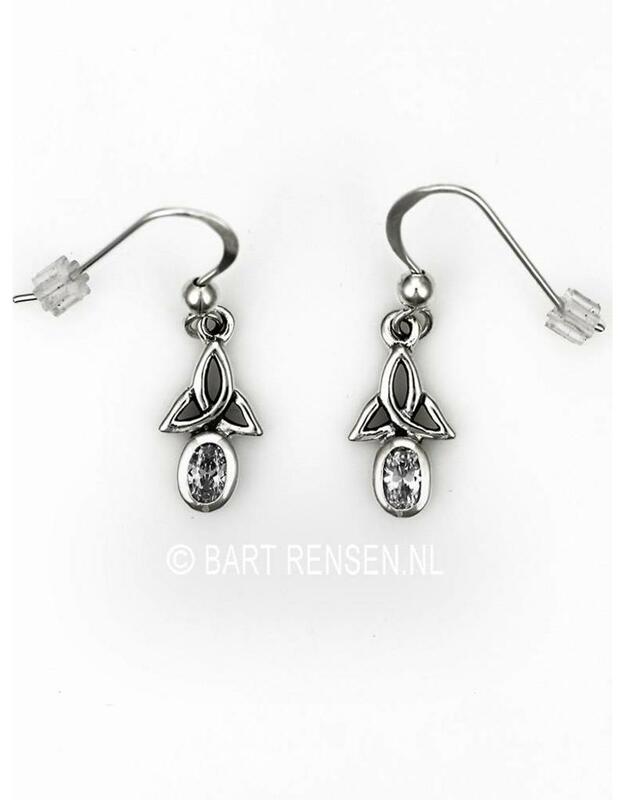 Originally, the symbol stands for the threefold Goddess (girl, mother and old wise woman). 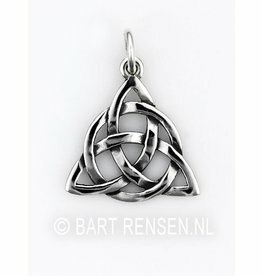 In Ireland the Triquetra pendant is often given by the man to his beloved. 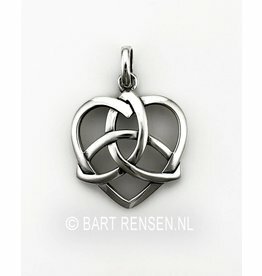 The meaning then relates to three promises: love, honor protection. 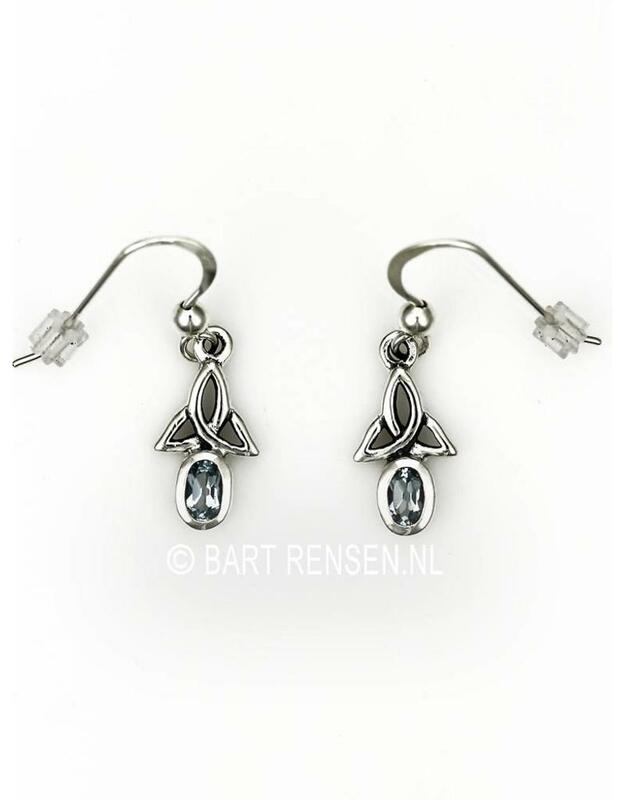 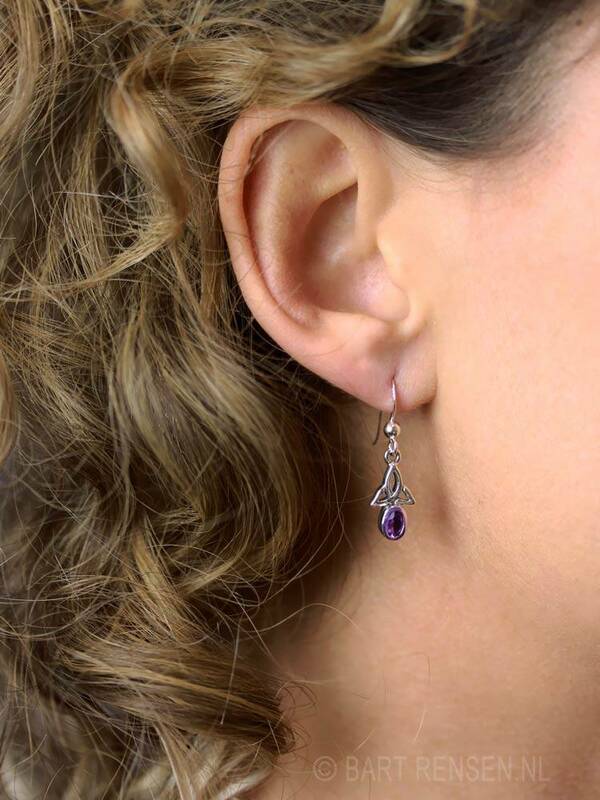 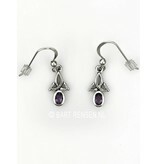 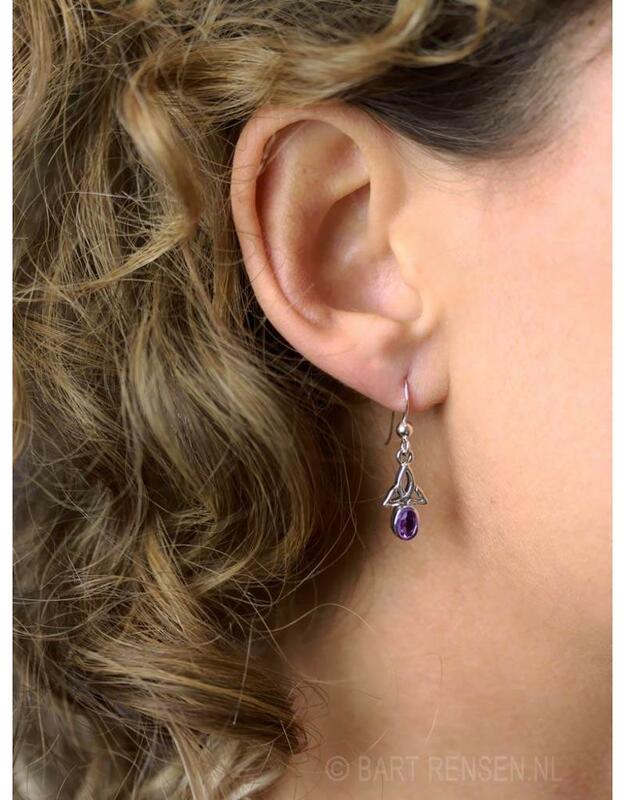 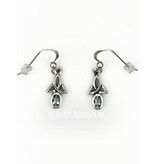 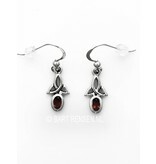 The Triquetra earrings with stone are delivered with different gemstones. 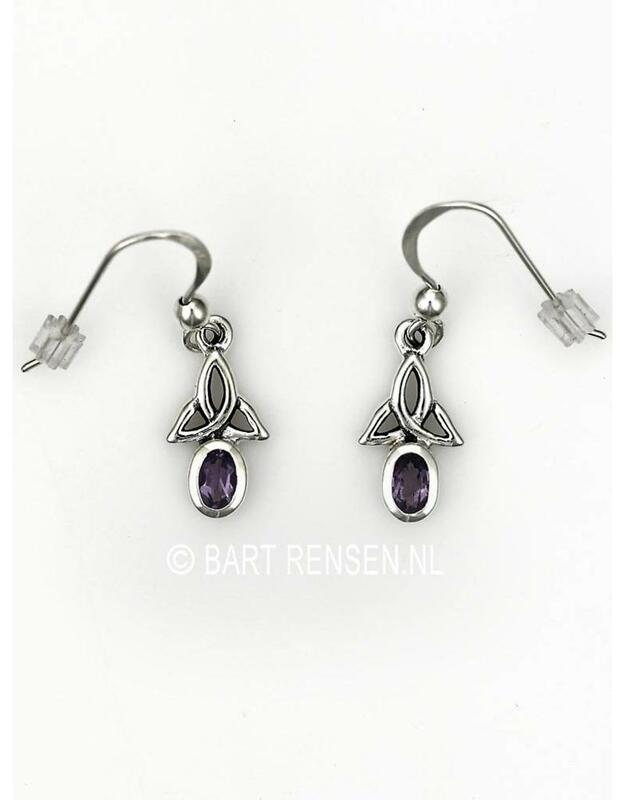 Prachtige oorhangers ! 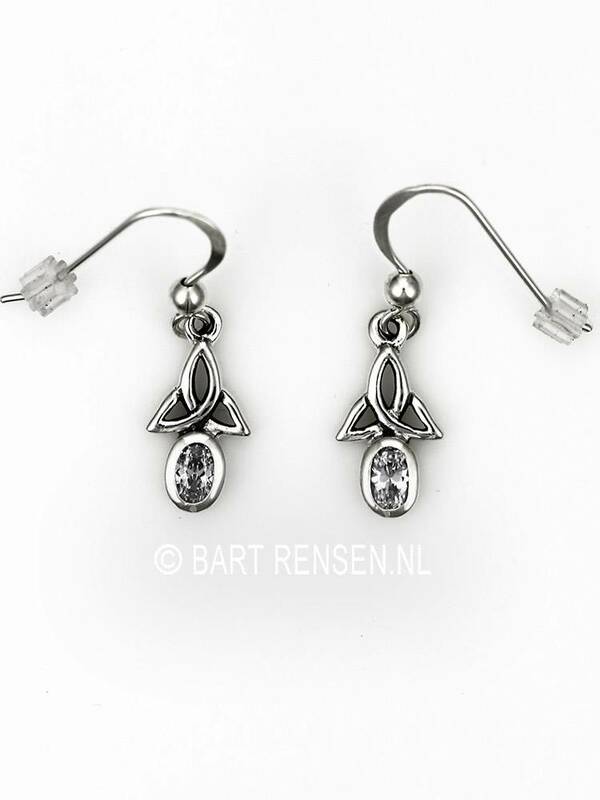 Niet te groot, zoals verwacht en heel mooie afwerking. 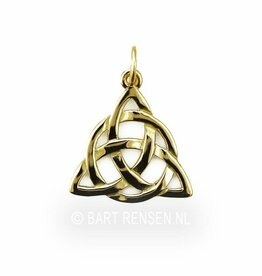 Ik ben er héél blij mee !